This means the organism contains cellular organelles, such as a nucleus. This means the organism is an animal ( a multicellular, mitochondrial-heterotroph). This means the organism has, at some time in their life, had a notochord. This means the organism is a warm-blooded vertebrate with feathers covering its skin, and has limbs modified into wings. This means the organism is a perching bird that lives near the ground. 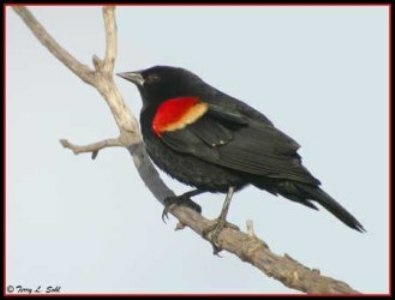 This means that the organism is an American songbird, such as the oriole, blackbird, bobolink, and the meadowlark. Derived from ancient Greek meaning "belonging to a flock". Derived from the Latin word, phoeniceus, meaning "deep red". This phylogenetic tree is based on a cladistic information. To learn more about me continue to the 'boy meets girl' page.